ChemSpec Leather Cleaner & Conditioner - Qt. 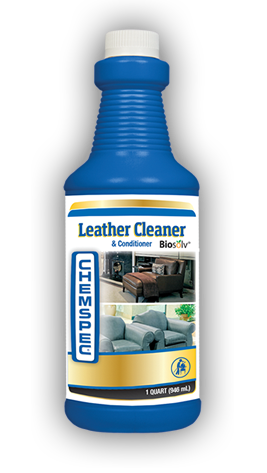 Home > Chemicals > Wood Floor Cleaners, Furniture & Metal Polish, Leather & Specialty Cleaners > ChemSpec Leather Cleaner & Conditioner - Qt. Simple one-step formula for cleaning and conditioning leather upholstery and trim. Cleans, shines, protect and helps to extend the life of leather. Boosted with Biosolv®. and protected leather only. Not for use on aniline, suede or nubuck. 2. Shake well before using. Do not dilute. 3. Pre-test in a small area for colorfastness, gloss or darkening. 5. Apply product to a clean towel. Wipe leather, turning towel as necessary. A tampico brush may be used to break up surface soil. 6. Wipe cleaner off with a clean white towel. Swiffer® Wet Jet Complete Solution Refill; 42.2 oz. 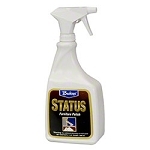 Spartan Premium Wood Polish Aerosol - 20 oz.